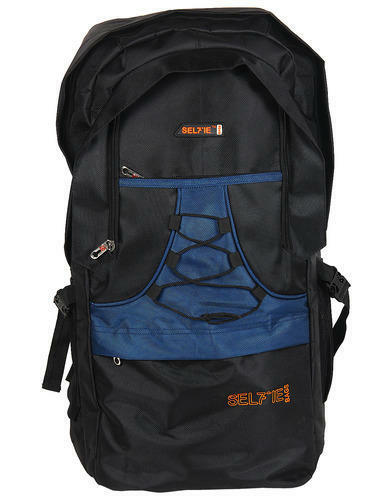 To meet the variegated requirements of our respected customers, our organization is actively involved in offering a wide array of Fashionable Travelling Backpack in the market. This product is highly appreciated and demanded amongst the clients for its attractive designs. To get the maximum satisfaction of customers, we are offering this product at pocket friendly price within the committed period of time using best packaging. Established in the year 2010, Shree Sai Infotech is a highly recognized and renowned organization affianced in manufacturing, wholesaling and supplying a vast collection of Men Handkerchief, Nehru Jackets, Men Sunglasses, Travelling Backpack, Men Wallets, Men Wrist Watches, Track Pants, Men T-Shirts, Men Track Suits, Men Shoes, Men Jeans and Laptop Bags. These products are designed in full adherence with the industry defined norms and standards with the utilization of optimum grade basic material. To meet the various choices and preferences of our valued customers, we are offering these products in various attractive designs, colors and patterns. Owing to their superior quality and designs, offered products are highly demanded among our valued customers.